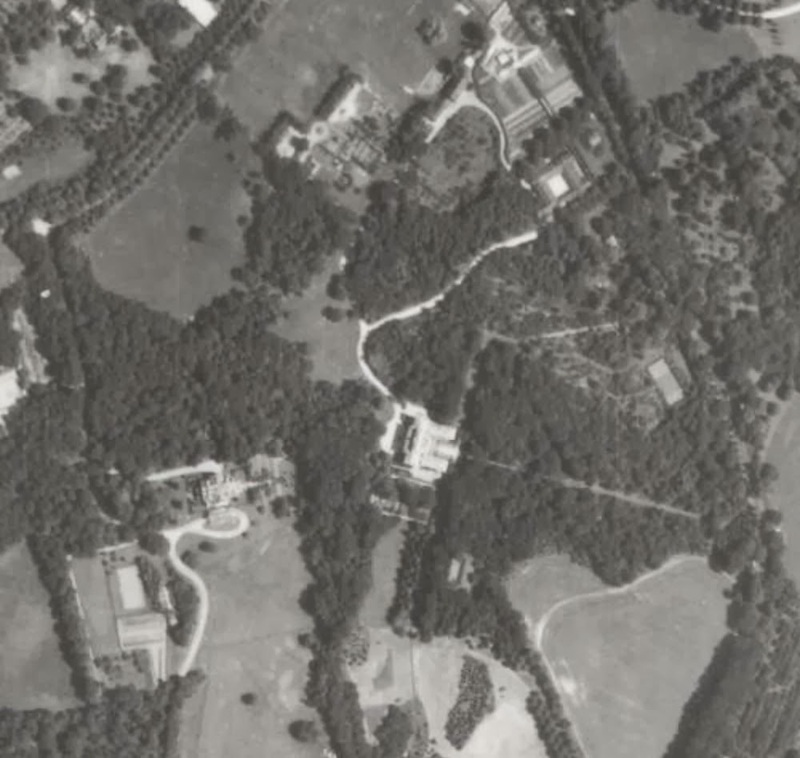 A 1938 aerial of 'Knole', the Bradley Martin estate designed by Carrere & Hastings c. 1903 and 'Rosemary Hall', the Foxhall Keene estate designed by Freeman & Hasselman c. 1902 in Old Westbury. Click HERE for more on 'Knole' and HERE for more on 'Rosemary Hall'. Photo from Stony Brook University's Digital Archive. I didn't realize the two estates were so close together...not much land between them. I love these old time aerial shots...all that beautiful untouched land, and small country roads. According to the lot sizes given on the 1939 map this shot shows about 150 acres between the two estates.